Home » World News » Was Vladimir Putin behind Trump's surprise victory? US intelligence thinks so! Was Vladimir Putin behind Trump's surprise victory? US intelligence thinks so! 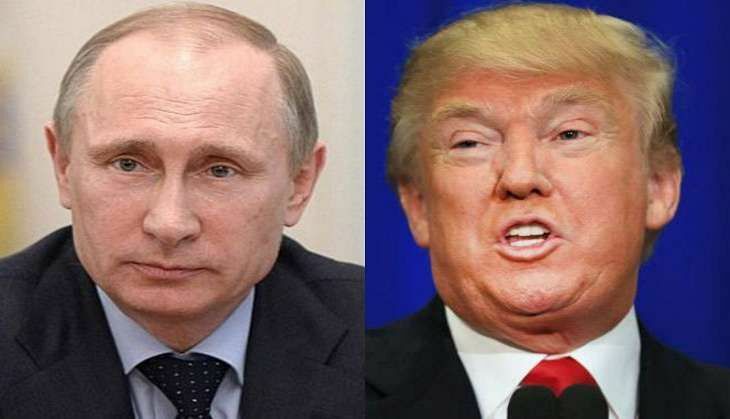 US intelligence officials have reasons to believe that Russian President Vladimir Putin was personally involved in US Elections 2016, which witnessed Donald Trump emerge as the President-elect. According to a news reports, Putin was involved in skewing the American election campaign as part of a vendetta against Hillary Clinton. Intelligence officials claimed to have a "high level of confidence" in this new allegation. "Two senior officials with direct access to the information say new intelligence shows that Putin personally directed how hacked material from Democrats was leaked and otherwise used. The intelligence came from diplomatic sources and spies working for US allies, the officials said," reported NBC news. The report added that Putin's objectives were multifaceted. It initially began as a "vendetta" against Democratic nominee Hillary Clinton, which later turned into an effort to show corruption in American politics to "split off key American allies by creating the image that [other countries] couldn't depend on the US. to be a credible global leader anymore," an official told NBC. Putin apparently never forgave Clinton for publicly questioning the integrity of 2011 Parliamentary Elections in Russia, and accused her of encouraging street protests. Last week, another news outlet - The Washington Post, reported that according to a CIA evaluation, Russia hacked emails of US persons and institutions to sway the election in favour of Trump. US intelligence agencies have intensified probing of Putin's personal wealth, in order to prepare for any possible retaliation. Just watched @NBCNightlyNews - So biased, inaccurate and bad, point after point. Just can't get much worse, although @CNN is right up there! Can you imagine if the election results were the opposite and WE tried to play the Russia/CIA card. It would be called conspiracy theory!